Rhino Steel Buildings Systems (Rhino) is a leading manufacturer of prefabricated steel buildings founded in 1998. Headquartered in Denton, Texas, Rhino also offers various types of structural designs required for your building project. Rhino operates in all 50 states and Canada. Why Choose Rhino Steel Building System? Better Business Bureau consistently gives Rhino steel buildings an A+ rating to signify excellence in maintaining costumers’ confidence. Rhino boast of over 30% repeat or referred customers. It is recognized in the industry for its outstanding customer service with each member having 10.3 years of average tenure. It also has a wide network of erection contractors. They can suggest you names in various locations should you need one. For the do-it-yourselfers, Rhino buildings’ bolt-together design makes it easier for them to erect the building. All its framing components are pre-cut, pre-welded and pre-drilled at the factory. Rhino Steel Buildings claims that almost one-third of your construction time is saved by using its building. It also promises faster delivery. Rhino normally delivers products of standard size in just six to seven weeks upon placement of order. Some basic designs are available in just as little as four weeks. Rhino Steel Building Systems are well-built using only premium quality materials, which also translates to virtually zero maintenance. The buildings are better protected from harsh weather conditions, earthquakes, fire and pest than ordinary wood framing. Their ‘brand new’ look is maintained for a longer period of time. 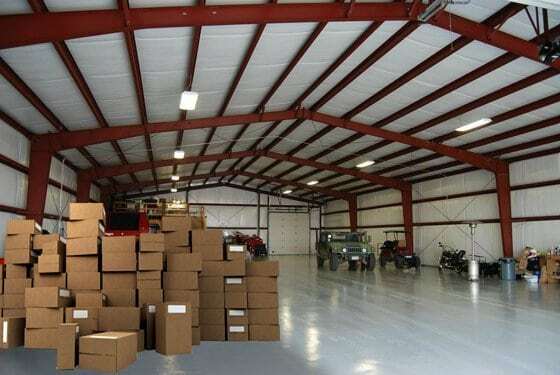 Rhino steel buildings provide optimal use of its space. Since Rhino steel structures framing is self-supporting, they do not require load-bearing walls or support columns, and hence results into clear span interior of around 10 to 150 inches on all standard designs. They can also be customized to span 200 inches or more. Rhino buildings’ width extends up to 480 inches while there is no limit in length. Should you wish an expansion later, you may simply order for an additional frame at any end-wall. Rhino pre-engineered buildings are also environment-friendly. Their rigid steel framing has an almost 90% recyclable content. They are also energy-efficient that can save you as much as 50% on energy consumption. What are the defining features of Rhino Steel Buildings? Rhino Buildings guarantees that its buildings meet or even exceed local building codes and are priced competitively given its many unique features. Their buildings are unique in many aspects. Rhino buildings have a standard Purlin Bearing Rib (PBR) roof and 26-gauge wall panels which are a lot stronger than the commonly used R panels. Contrary to the flush bolting method, its durable panels feature an overlapping of purlins at the main beam that results in greater strength and structural support. Rhino buildings are also designed to be long lasting structures. As standard with all models, Galvalume sheathing includes cast aluminum zinc fasteners. Rhino also offers a lifetime warranty to assure clients that there will be no red rust formation on the cast zinc head. The ethylene propylene diene monomer (EPDM) sealing washer, meanwhile, guarantees waterproof seal even under extreme weather and protects the buildings from damaging ozone and UV rays. These all result in increased capacity and durability of all Rhino buildings. They are all covered under a warranty lasting for 25 years. 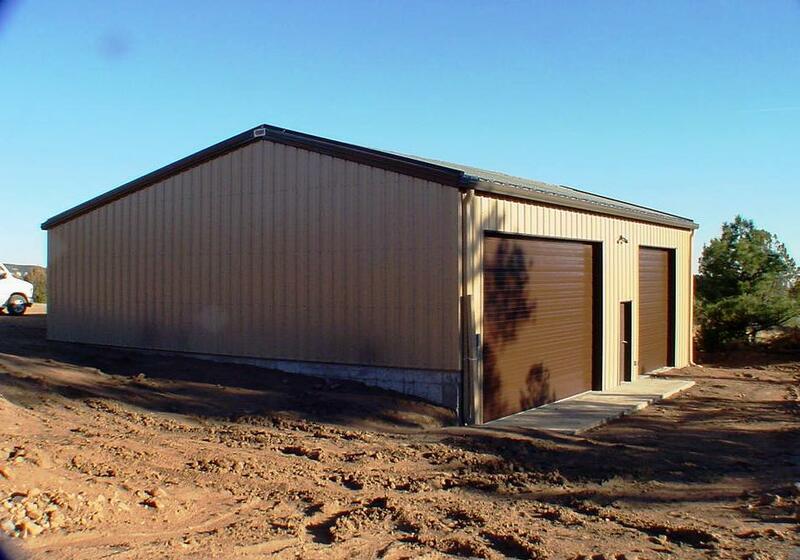 Rhino steel buildings are 100% commercial-grade rigid-steel framing. They’re very versatile that they can be easily engineered for the addition of various accessories, whether for ventilation, insulation, accessibility and lighting. Rhino steel buildings has formed base trim which is considered the best method to attach steel wall panels. For one, it prevents the wall panels from deterioration as it is basically leak resistant. Moreover, it doesn’t only improve the building’s durability, but it also enhances its appearance as they are available in colors to complement the exterior wall panels. Formed base trim method is an alternative to the most commonly used notch concrete foundation method which is a lot costlier since it requires more concrete. By using formed base trim method, it doesn’t only save you money but also time. It is much easier and faster to do than pouring a notched foundation. What determines the type of structural system to apply on building projects? There are various factors to consider when thinking about your building’s structural design. Amongst which include local codes and building square footage, weather disturbances such as rain, wind and seismic movements, as well as interior space requirements like the need for a clear span area. Just in case you need to add to the building in the future, an optional rigid frame end-wall designs are also available. It is also applicable for projects requiring a total opening like an aircraft hangar door. Rhino’s experts can help you with identifying the right structural system for your project. How to order from Rhino Buildings? To place your order to Rhino Buildings, you may call their line at 888-320-7466 and a company representative will speak with you to answer your inquiries and help you determine the requirements of your project. Rhino also has a complete online solution that allows you to design your building and get a free quote. An experienced professional will be in touch with you shortly to discuss your proposed project. Upon deciding on the buildings’ designs and features, the customer fills out an order form and confirms building loads and codes. The form is then returned to Rhino. In a span of two to three weeks, the customer will receive anchor bolt plans, three letters of certification, and engineered stamped prints. Three weeks after placing an order, the customer also receives a confirmation letter from Rhino. It comes with the erection manual and construction DVD. A letter from Rhino also notifies the customer regarding a tentative week for delivery. A company representative calls the customer to confirm the date and time of delivery. Lastly, the building is delivered to the customer. While a comparison with other steel building manufacturers may reveal that Rhino Steel Building Systems is still on its early stages, the amazing growth and maturity that the company was able to realize in the span of less than 15 years tells a lot about its dedication and unique brand of service. And Rhino is truly unique in more ways than one. Rhino Steel Buildings lives up to one groundbreaking philosophy: The RHINO Difference. With it, the company has grown from a small supplier in 1998 to one of the most expansive distributors of steel products, with clients in all 50 states as well as in Canada and Mexico. Truly, the RHINO Difference has earned for the company great success and big expectations, and this philosophy is simply grounded in one of the most basic business requirements of all: customer service. Rhino Steel Buildings operates on the belief that all customers are to be treated honestly and respectfully. Complementing these customer service basics is the production of top notch steel products that are capable of supporting a myriad of storage needs, including residential, commercial and industrial requirements. The result of this customer-oriented brand of service is a growth in trust and satisfaction among clients from various states and countries, earning for Rhino Steel an A+ rating for customer service from the Better Business Bureau. The challenge for Rhino Steel does not end, though. Rhino Steel Buildings continues to live up to the highest expectations from its growing client base, and they provide this brand of satisfaction by producing steel buildings faster, that are stronger, more flexible and greener than other counterparts. These are just some of the benefits of working with Rhino Steel. Clients won’t have to look for other options when they need a quick solution for their storage needs thanks to unparalleled service from Rhino.